Reality has begun to bite at McLaren where the departure of Eric Boullier has led to a restructuring as Zak Brown tries to turn the team around. It remains to be seen whether the American marketeer can provide the leadership required to get the team moving. The team remains oddly structured and in need of clear chains of command and it is likely that further changes will come. There’s a strong whiff of revolution in the air at McLaren, as racing CEO Zak Brown sets about remoulding the organisation in his attempts to make McLaren great again. But in a stark admission, Brown has revealed that the team’s current MCL33 has a fundamental weakness which means it’s not as strong a chassis as the MCL32 it replaced. Many believed that McLaren’s switch from Honda to Renault power for 2018 – which sees them running the same power unit as Red Bull, three-time winners so far this season – would finally unlock the talents the team believed were hidden in their chassis, but which had been masked by a basic lack of grunt. Indeed, McLaren even predicted at the end of last season that they would outclass Red Bull at certain circuits on the calendar this year. The constructors’ standings so far tell a different story, however, with McLaren holding just 48 points ahead of the German Grand Prix, compared to Red Bull’s 199 – and Renault’s 70, for that matter. Renault also hold the prized fourth place in the championship too, marking them as the highest performing midfield team, with McLaren down in seventh. So what’s gone wrong? “I’m not going to get too technical,” said Brown, “but we don’t have the same level of downforce that we had last year. We have identified an area in which our car is weaker than last year’s car. McLaren are arguably enjoying their most successful season since Fernando Alonso re-joined the team back in 2015, with the Spaniard having scored points in seven out of the 10 races so far. But their failure to hit the heights they were aiming for at the start of the year have gone hand-in-hand with several high-profile departures at the team in recent months, with Tim Goss leaving his role as Chief Technical Officer (Chassis) in April, having been with McLaren since 1990, and Eric Boullier stepping down from his Racing Director role ahead of the British Grand Prix. Now Brown is hoping that, with the revised structure he’s put in place – most significantly a trinity based around Andrea Stella as performance director, former Indy 500 winner Gil De Ferran as sporting director and Simon Roberts as Chief Operating Officer – McLaren can eradicate repeats of the kinds of fundamental issues that have kept them off the top step of a Formula 1 podium since 2012. McLaren's IndyCar ambitions may have may have "missed the boat" for the 2019 season, says Carlin team boss Trevor Carlin. The Formula 1 team has hinted it is considering a two-car IndyCar team for next season, and has held discussions with engine manufacturers Honda and Chevrolet. 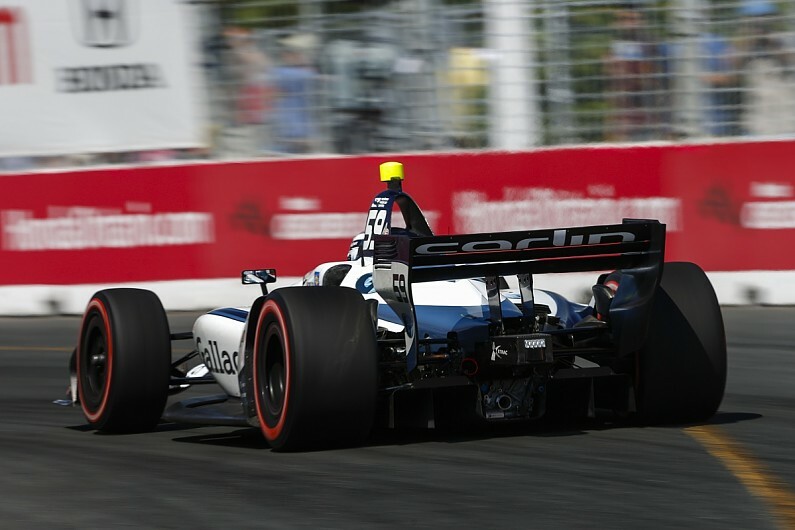 Carlin joined the IndyCar Series for 2018 despite missing its self-imposed deadline of last September by a month, requiring it to play catch-up in the first half of the season before becoming increasingly competitive. Team boss Carlin says his experience suggests McLaren will find a 2019 start difficult to achieve now. "If a team like McLaren wanted to set up a whole new team, they should be well under way doing it with four or five cars, trucks, equipment and trying to get staff," Carlin told Autosport. "I can only speak from our experience, but we had the go-ahead at the end of October  and it coincided with a new car package, which meant Dallara was stretched, so we didn't get our first car until after Christmas and testing started a week or two later. "It might be easier for new teams this year, but it's still tough." Carlin believes McLaren's finances will help make up time, but that recruitment will be the biggest stumbling block. "It depends if they can get decent people and how quickly they get them," he said. "Most decent people are working so you won't get them until the end of the [IndyCar] season in September. "Obviously, huge budgets play a part and you can get moving quite quickly, but, at the end of the day, it's about getting the right people, not just spending cash. "A team with money like McLaren will find buying cars and equipment easier, but staff is another level. 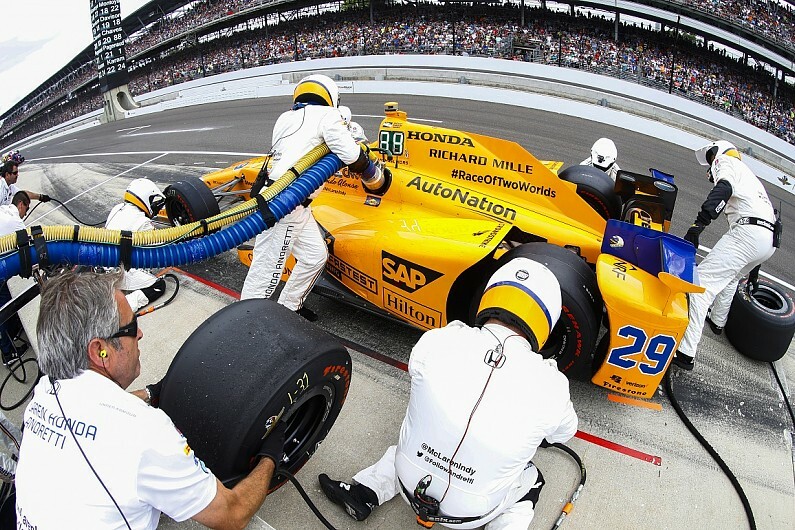 "A partnership [like the McLaren-Andretti entry at the 2017 Indianapolis 500] is just putting a car in an existing team, that's basically sponsorship and much easier. "But McLaren seems to want to do their own team, so they should be on the job themselves." Three-time Indianapolis 500 winner Johnny Rutherford also feels McLaren has left it too late for 2019. Rutherford won Indy with McLaren and 1974 and '76, and was an ambassador for its 2017 Indy programme with Fernando Alonso. "Honestly I think they're too late for doing it for next year," he told Autosport. "I think they need to start now for 2020. "I don't know exactly what's going to happen with McLaren." Rutherford said a full-season programme would require significantly more work than McLaren's Indy 500 one-off. "It's a lot different, it's a time-consuming effort and they need to do some testing, they need to hire somebody that knows the circuit and put them on the right track," he said. "There's a lot of questions that need to be answered." Fernando Alonso says the restructuring at McLaren that included Eric Boullier resigning as racing director has led to a more optimistic atmosphere within the team. Boullier left ahead of the British Grand Prix as McLaren amid a number of changes that the team said was designed to simplify the management structure, with Gil de Ferran coming in as sporting director. With the new organization having only been in place for two weeks, Alonso says there is unlikely to be any immediate impact on performances, but that he has seen an improvement in morale. “I think on the driving point of view, we don’t feel a big impact,” Alonso said. “I think the operations here at the circuit, on the weekend, are a little bit faster, cleaner, maybe it’s a better organization, or more simple, so I think we can see benefits from this. “On the factory side, I was not in the factory after Silverstone but the mood in the team is quite optimistic now. I see a lot of happy people and determined people about the future of McLaren. I think all of the changes were in the positive side. In terms of physical changes, McLaren will have further new parts on its car during practice for the German Grand Prix on Friday, and Alonso says only a small gain in lap time is needed to gain a number of positions. “We have some aerodynamic updates here so we will test them tomorrow,” he said. “We’ve been doing the same kind of program all Fridays so far and some of the parts we bring every weekend they are ready and we fit them for Saturday. “Some other parts are not mature enough, and we are re-testing [them] with some modifications in the following weekend, and hopefully between all the parts here we will put something on Saturday and see more performance but I think everyone is doing more or less the same programs. Rece Kravic nesto u stilu da su otpisali ovu trku i oba treninga proveli testirajuci delove za Budimpestu koje spremaju jos od prvog treninga u Francuskoj. Navodno je na bolid bilo prikaceno 200 senzora?! Upotrebljavaju P1 i P2 da skupe neophodne podatke, umjesto wind tunel-a, jer ima njihov daje pogresne podatke i korelacije. Slican problema je imao Ferrari unazad 4-5 godina, ali su oni upotrebljavali Toyotin kao rezervni, mozda bi i Mcl trebao tim putem dok ne oprave sopstveni ili je to samo neka vrsta izgovora za potpuni aerodinamicki promasaj? Verovatno rade korelaciju sa CFD-om, odnedavno je upotreba vazdusnih tunela drasticno ogranicena pravilima i sad se sve uglavnom radi kompjuterski. Zar nema ograničenja i za simulacije dinamike fluida? Ima. Ali za vazdusne tunele je bas jako strogo, jos se pride razmatra da ih skroz zabrane. Ja ne mogu da verujem sta se desava sa ovim timom. Doveli su me u situaciju da mi trka F1 pricinjava vise stresa od zadovoljstva. Ako se nista ne promeni u Madjarskoj, ja nemam vise snage da gledam ovu sezonu. Alonsov tim radio je teska tuga. Oni mu kazu box now, box now. On njima box now, for what? Inters mate. On njima inters?? Why? Way too early, they'll be destroyed in two laps. Sa radija se cuje samo box now. Sta se desava sa ovim timom jbt..
Jedan Luka Baldiseri koji je smislio strategije za Sumahera u Madjarskoj 1998, Japanu 2000. i Francuskoj 2004. je popio sut kartu iz trkackog tima nakon sto je ovo uradio u Maleziji 2009.